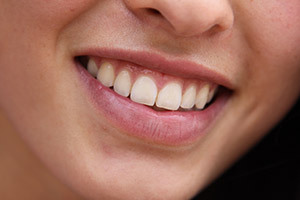 Healthy and beautiful teeth are connected with a healthy periodontium and gums. Prevention is therefore the focus of our practice management. Once daily thoroughly brushing in the right way helps prevent tooth diseases and avoid serious problems. We are convinced that when the necessary knowledge is transmitted in a quiet way there you have the reward. Good communication is essential and we will always do our best. Obviously, a good technical execution of the treatments something we always promote and what we are trying to perfect. Our quality we endorse to give garantee on our crowns and bridges work and the restorations. (Ask for our conditions). Our dental hygienists give you advice on daily dental care. They also provide regular professional cleaning of your teeth. At every appointment we take the time needed to feel at ease. We provide information and explain every step, in order to make the treatment as clear for you as possible. We work with patient- friendly anaesthesia methods. This way, care for healthy teeth and feeling at ease at the dentist go hand in hand. Our dentists, as well as our dental hygienists and prevention assistents attend updating courses on regular bases. New patients are welcome. Please contact us by email or by phone (English spoken). Monday from 8:30 am to 7:00 pm. Tuesday until Friday from 8:30 am to 5:00 pm. To cancell an appointment you are kindly requested to contact us within 48 hours before. Find here our house rules.